While I was at the media test drive for the 2019 Toyota RAV4, they whisked us into a secretive dinner held in a giant winery warehouse where an ominous banner hinted at what was behind. 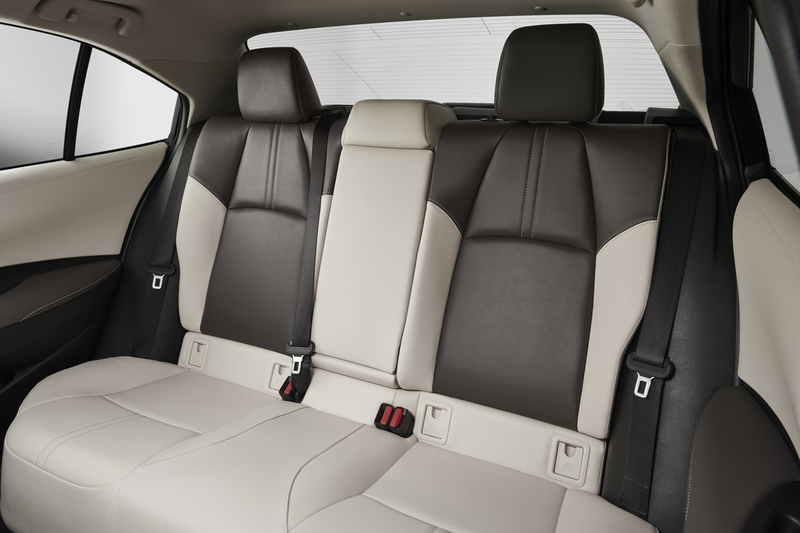 Like fans with back stage passes, the assembled media rushed to see a surprise sneak peek at the all-new 2020 Toyota Corolla. 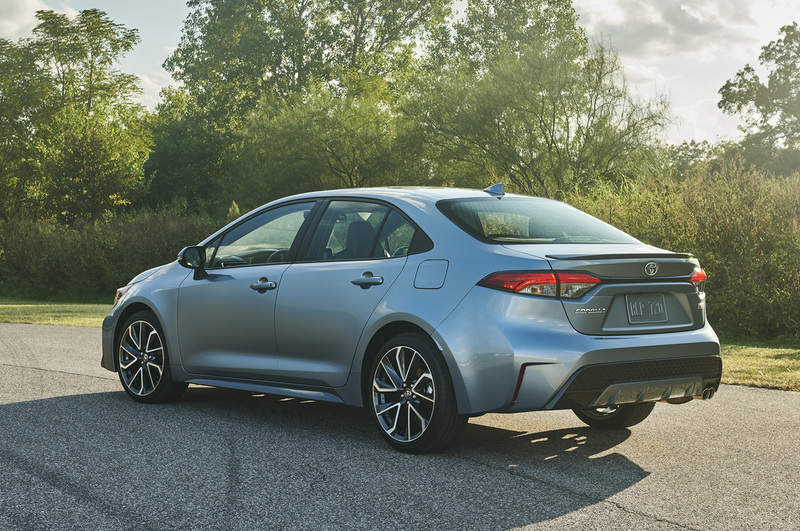 The covers pulled back, we were given the first state-side glimpse of the all-new sedan version of the Toyota Corolla we first tested earlier this year in hatchback form. 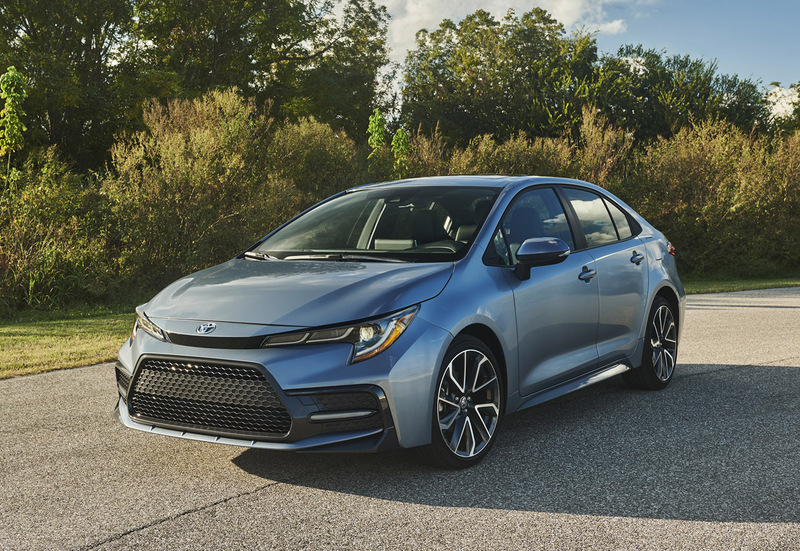 Translating almost identically from the new Corolla hatch, the new sedan gets all-new style inside and out, the new TNGA platform, new powertrain options, and more technologies. 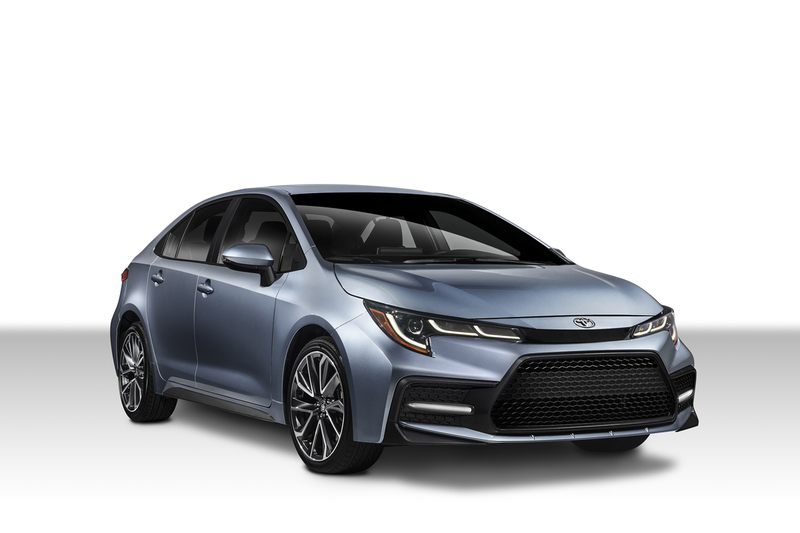 Shown to us in both an XLE and the new top-line XSE sport model, the 2020 Corolla rides on a 106.3-inch wheelbase as before but grows slightly wider by almost an inch. Height is almost an inch lower and the overhangs noodled just slightly for a car that sits almost identically in the same footprint as before. 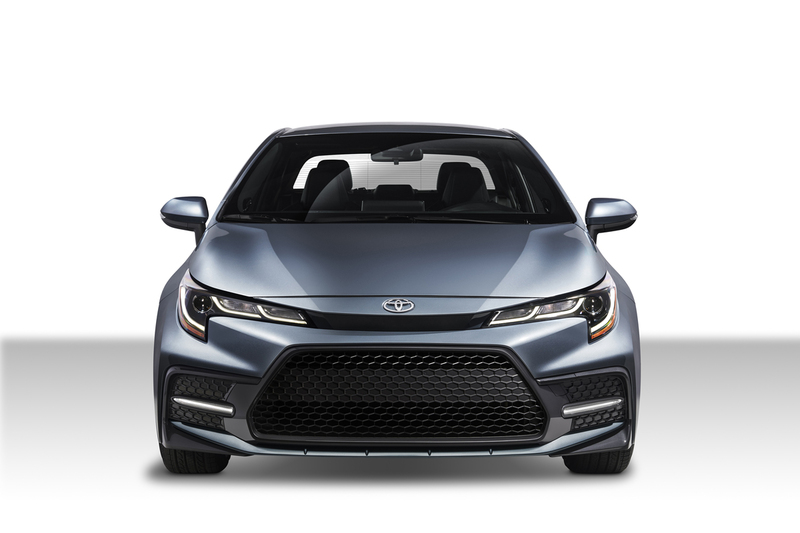 Styling is more dramatic all around with a more aggressive face sporting standard Bi-LED headlamps on all grades and a variation in styling depending on which trim grades you choose – much like many of the newest Toyotas introduced lately. Sporting the same hood design that rolls over into the fenders like the hatch and the Prius Prime, the character lines of the greenhouse also read very similar in DNA. 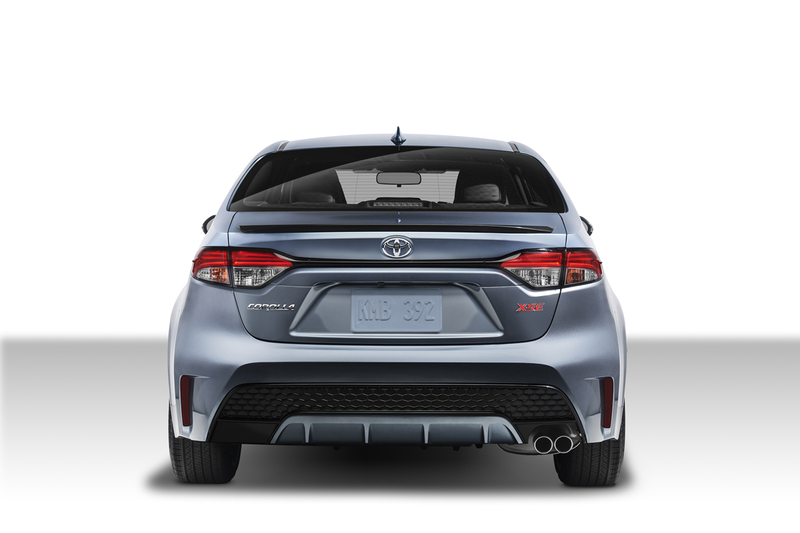 The car looks larger and more substantial overall with more character front to rear. 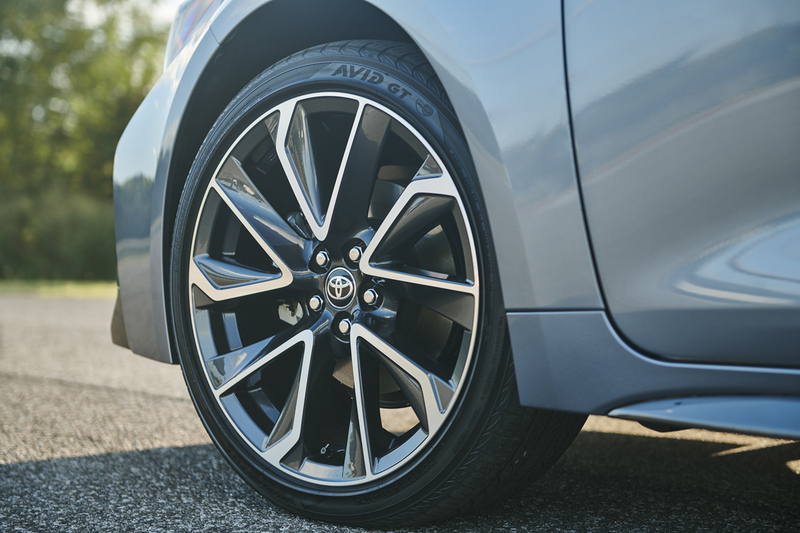 Wheels are larger from 16-inch steelies with covers on the LE all the way up to now 18-inch alloys on the XSE you see here. 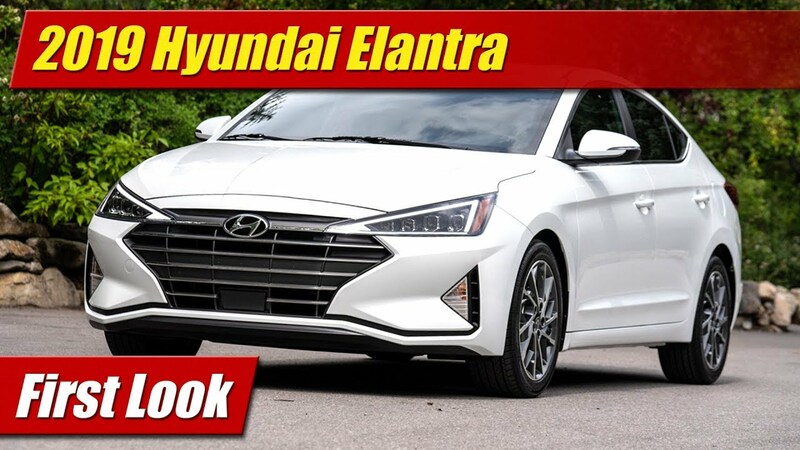 On this one you also see silver accented lower rocker trims, decklid spoiler, grille work and a handsome dual exhaust tip. 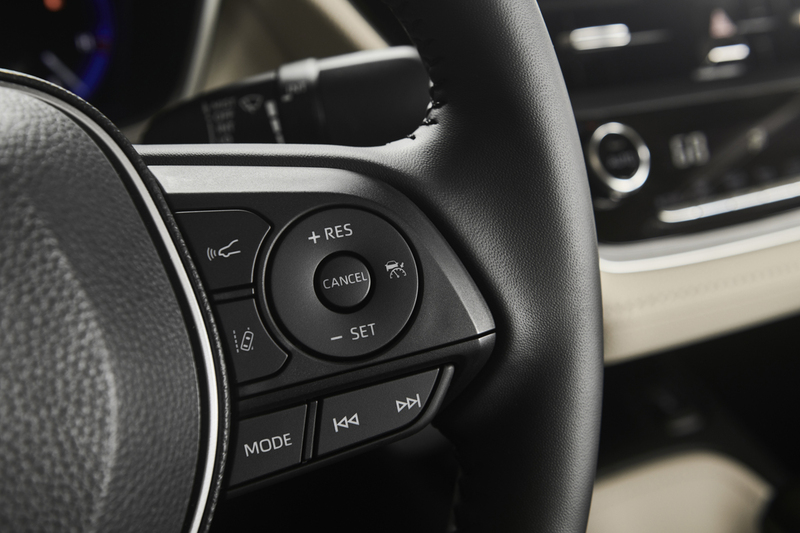 Available will be higher end features like an adaptive lighting system that steers headlights in the direction of your turn. 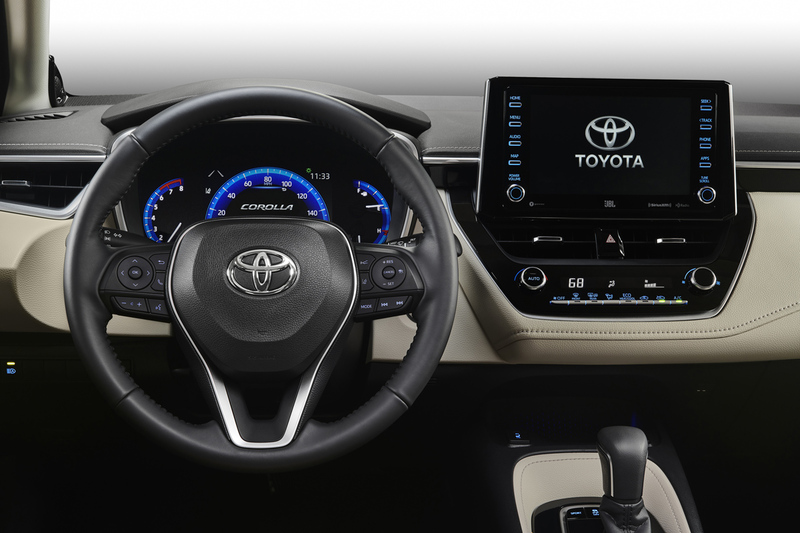 The interior to my surprise is lifted directly from the sporty Corolla hatch with its elevated bill of materials that include swaths of soft stitched materials and a sweeping dash design I would have sworn would be to premium for the sedan. 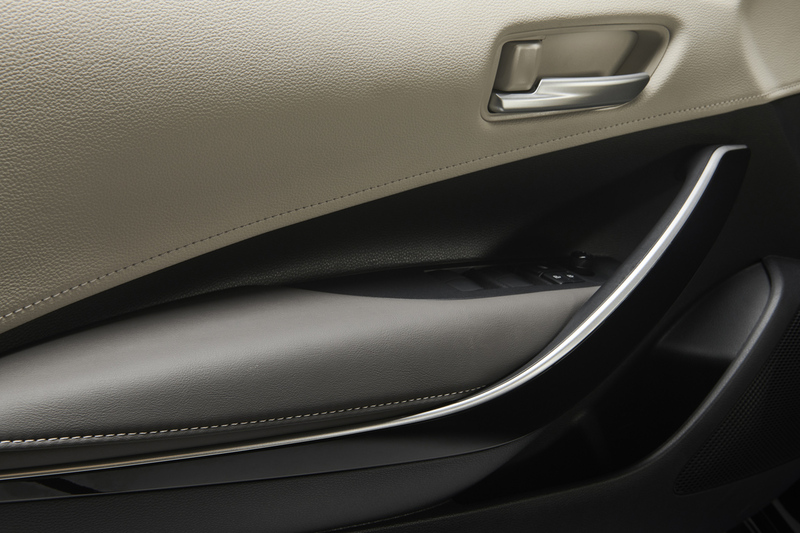 Flashy new choices of seating and interior accents will be tied to the trim grades. 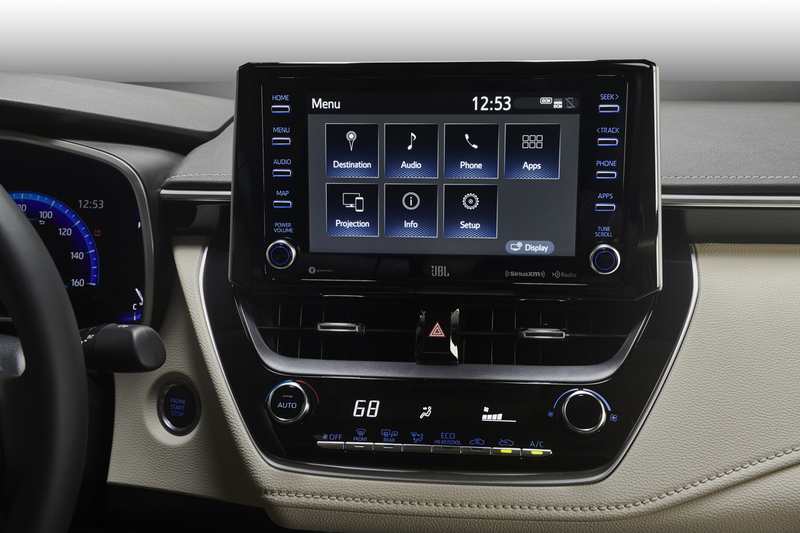 A floating center screen infotainment system will offer a myriad of choices for audio systems, connectivity and navigation services way too long to list here when it goes on sale in spring of 2019. 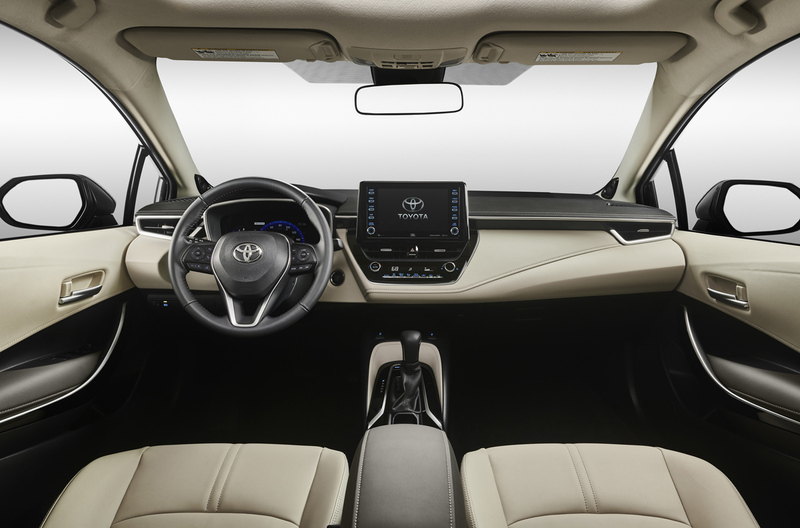 Toyota Safety Sense 2.0 will also be standard across the board. 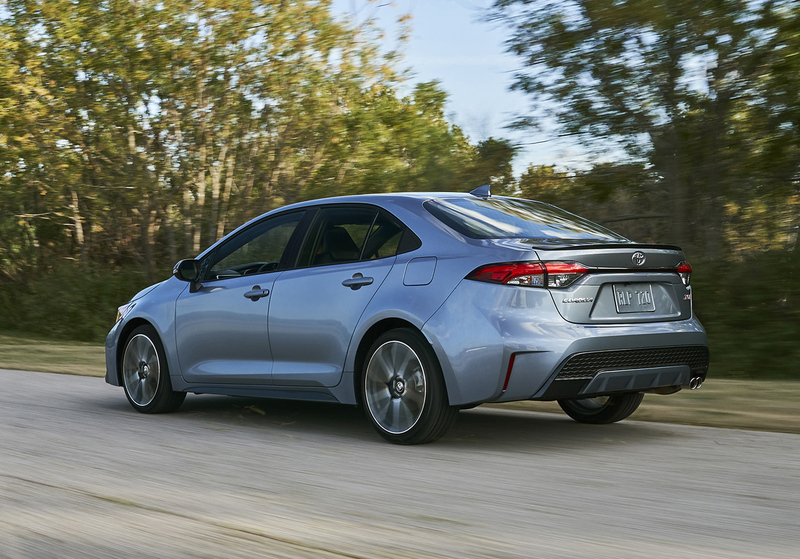 Powering the new 2020 Toyota Corolla will be a few options. 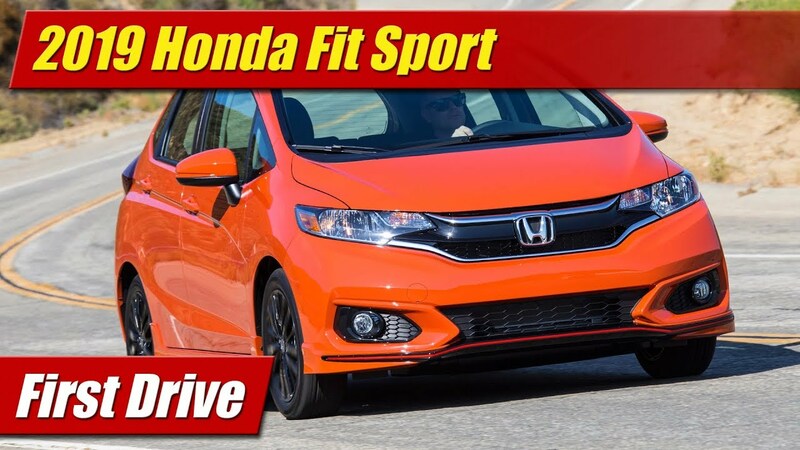 Standard will be a 1.8-liter four-cylinder engine and CVT carried over from the current generation but tuned with now 139 horsepower. 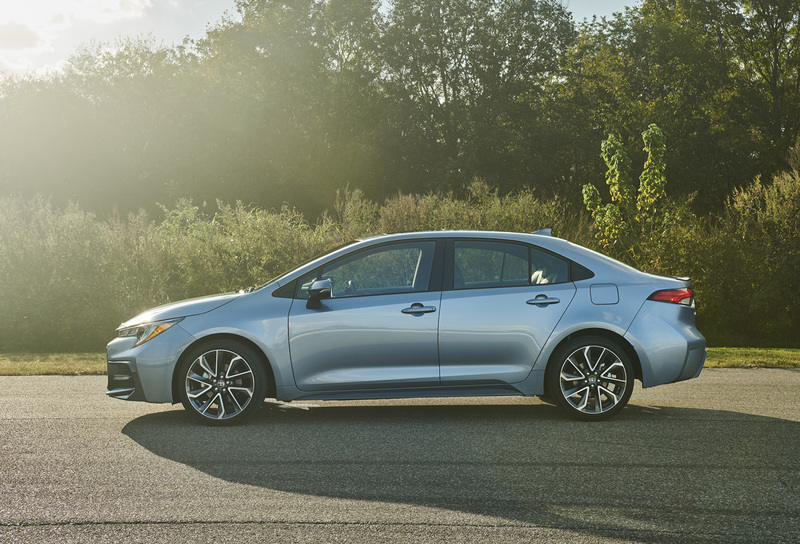 Stepping up to the XSE and SE however will get you the same new 2.0-liter four found in the hatchback. 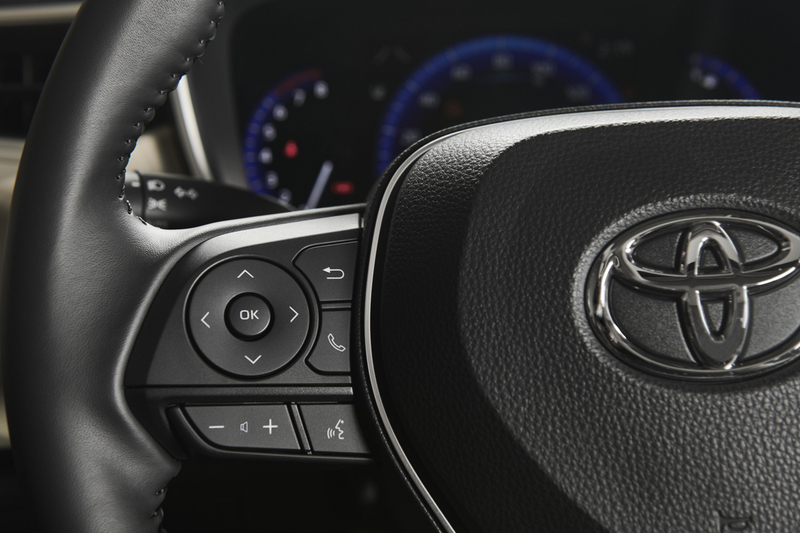 Here you can choose between a six-speed rev-matching manual transmission of the well done “dynamic shift” CVT that has a physical first gear and simulated 10-speed automatic operating range. 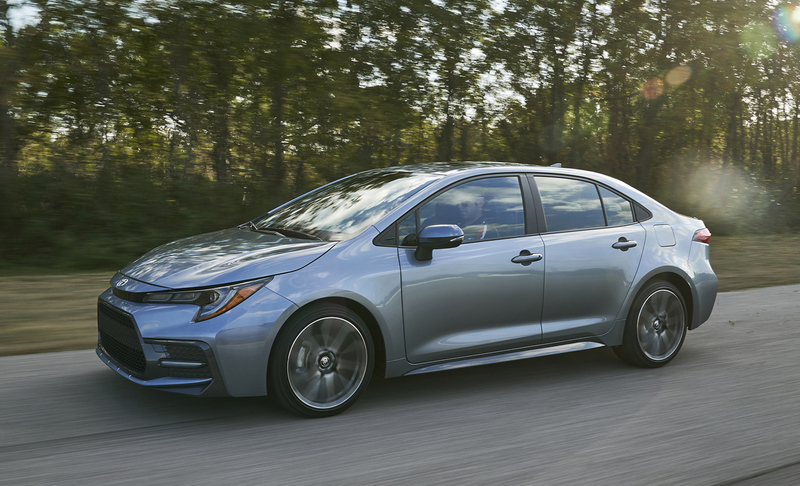 With 169 peak horsepower and 151 lb.-ft of torque and two transmissions I liked well in the hatchback, it should elevate the Corolla in a class that offers very little in the way of excitement. 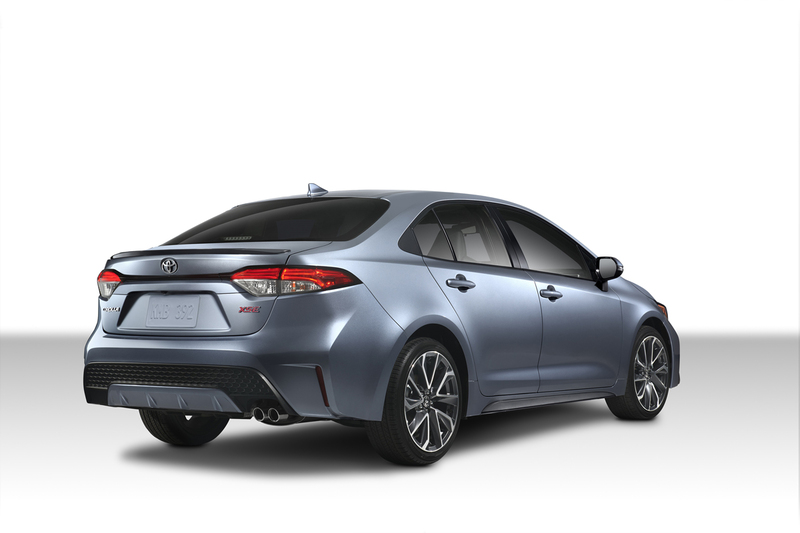 Add this to a standard multi-link rear suspension across the model line, Corolla may no longer be the poster boy for boredom. 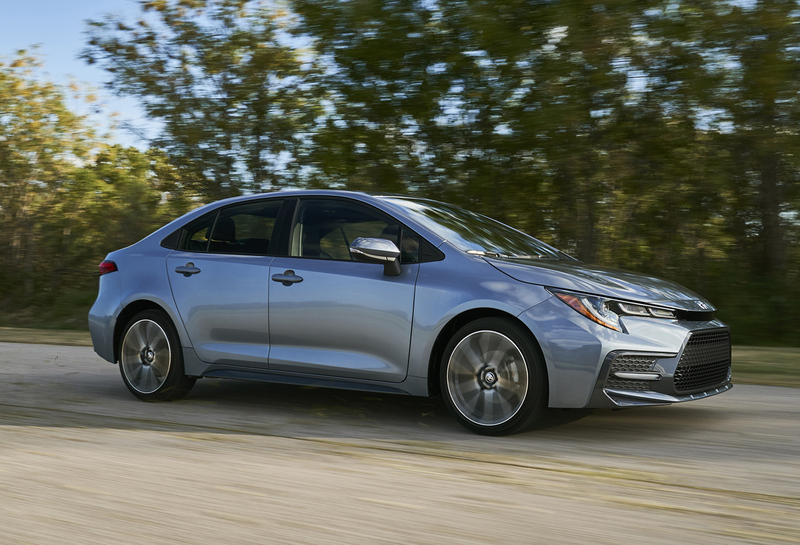 Given the Corolla now shares its architecture entirely with the Toyota Prius line, we were told a hybrid version will be along later next year. 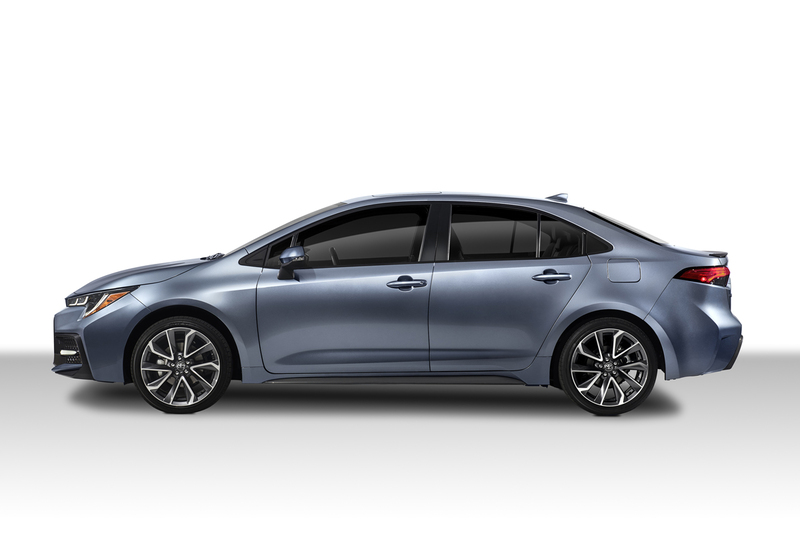 While specs weren’t given we can assume they will mirror the Prius. 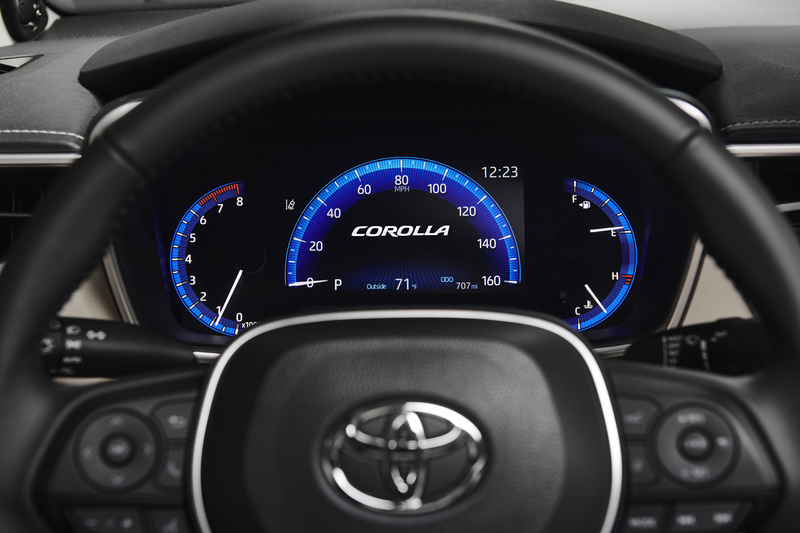 Going on sale next spring, the all-new 2020 Toyota Corolla sedan will likely see a small price increase over the current model given its uptick in content and engineering features. 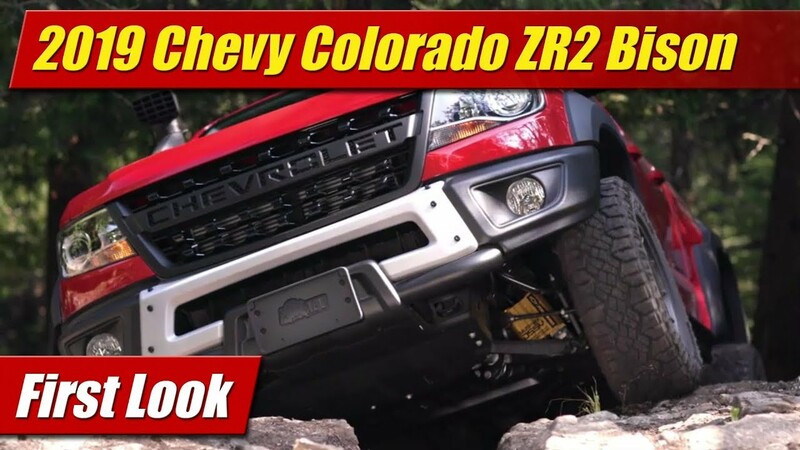 We will bring a far more detailed review and drive when that opportunity comes.